How to Convert How to Train Your Dragon 2 Blu-Ray Disc? How to Train Your Dragon Blu-ray discs including How to Train Your Dragon 2 Blu-Ray Disc have become the top seller on Amazon. In this post, we make a brief introduction to How to Train Your Dragon 2 and make a presentation on how to convert How to Train Your Dragon 2 Blu-ray disc with professional Blu-ray disc converting and ripping software. How to Train Your Dragon 2 is a 2014 American 3D computer-animated fantasy action film produced by DreamWorks Animation and distributed by 20th Century Fox, loosely based on the British book series of the same name by Cressida Cowell. It is the sequel to the 2010 computer-animated film How to Train Your Dragon and the second in the trilogy. The film is written and directed by Dean DeBlois, and stars the voices of Jay Baruchel, Gerard Butler, Craig Ferguson, America Ferrera, Jonah Hill, Christopher Mintz-Plasse, T.J. Miller and Kristen Wiig with the addition of Cate Blanchett, Djimon Hounsou and Kit Harington. The film takes place five years after the first film, featuring Hiccup and his friends as young adults as they meet Valka, Hiccup’s long-lost mother, and Drago Bludvist, a madman who wants to conquer the world. The film How to Train Your Dragon 2 was released on June 13, 2014, and like its predecessor, received wide acclaim. Critics praised the film for its animation, voice acting, action scenes, emotional depth, and darker, more serious tone compared to its predecessor. The film grossed over $621 million worldwide, making it the twelfth highest-grossing film of 2014. It earned less than its predecessor at the US box office, but performed better internationally. A third installment in the trilogy, How to Train Your Dragon 3, is scheduled to be released on June 29, 2018. Leawo Blu-ray Ripper could perform as a professional Blu-ray disc converter to convert Blu-ray disc How to Train Your Dragon to various digital HD formats like MKV, MTS, HD MP4, HD FLV, etc. With this Blu-ray ripper software, you could freely play and watch your Blu-ray disc How to Train Your Dragon 2 on any media player or portable device like iPad Air 2, Galaxy Note 4, Nexus 6, iPhone 6, etc. Check the below steps and you will know how to convert Blu-ray How to Train Your Dragon in detail. Step 1: Download, install and run this Blu-ray Ripper on your PC. The Mac version is for Mac users. Insert the Blu-ray disc "How to Train Your Dragon 2" into the Blu-ray drive. Click "Add Blu-ray/DVD" button on the main interface to load Blu-ray How to Train Your Dragon 2. There’re 3 Blu-ray movie content loading modes: Full Movie, Main Movie and Custom Mode. You could select one upon your personal needs. Next to the "Add Blu-ray/DVD" button, you could see a clickable drop-down box. Click it and then select "Change" option to enter the Profile panel, on which you could open "Format" group or "Device" group to select an output profile. Go back to the main interface after you’ve set the output profile. Click the big green "Convert" button to invoke a side bar, where you need to set a folder as target directory in the "Save to" option and then click the "Convert" button to start converting. Once conversion is finished, you could freely put the converted Blu-ray How to Train Your Dragon (now in digital video formats) to any player or device as you like for playback. 1. 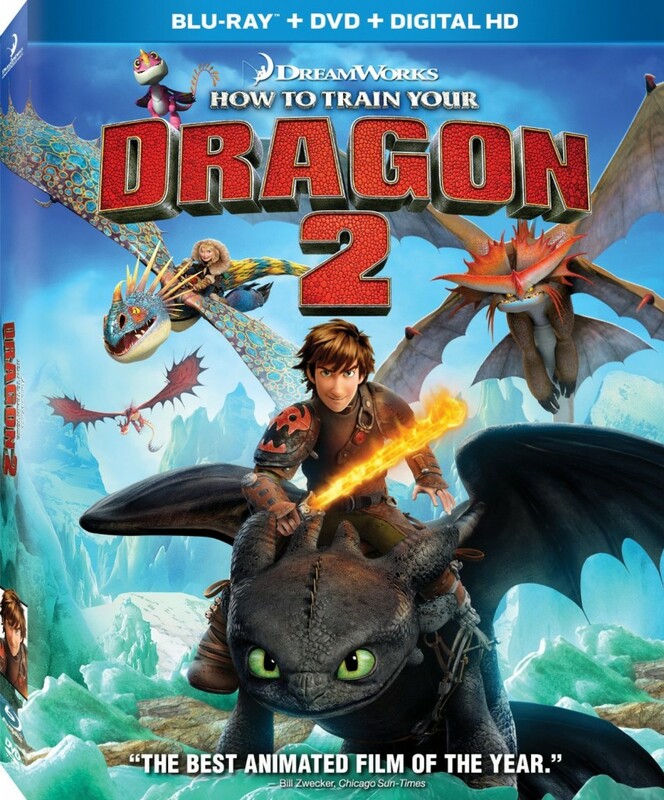 Why Internet connection is necessary to convert How to Train Your Dragon 2 Blu-ray disc? If you are going to convert How to Train Your Dragon 2 Blu-ray disc, you should connect your computer to Internet beforehand as decrypting and converting encrypted Blu-ray disc requires Internet access. However, it is important that you consult your local laws and regulations before you rip encrypted disc as decryption is illegal. 2. Can Mac users use Leawo Blu-ray Ripper to convert How to Train Your Dragon 2 Blu-ray disc? Leawo Software has already made it accessible for Mac users to convert How to Train Your Dragon 2 Blu-ray disc by rolling out the Mac version of Leawo Blu-ray Ripper – Leawo Blu-ray Ripper for Mac. 3. Is there a free trial version for Leawo Blu-ray Ripper? Yes, there is, but Leawo Blu-ray Ripper trial version allows users to convert only 5-minute Blu-ray item, and the trial version is unable to decrypt disc. 4. How much is Leawo Blu-ray Ripper? For one-year validity, users need to pay $44.95 to get the registered Leawo Blu-ray Ripper with unlimited function while users can spend $99.95 on the life-time version.